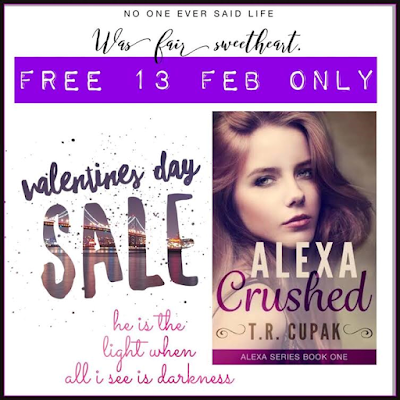 Alexa Crushed (Book 1) is free on Feb 13th only and Alexa Loved (Book 2) is free on V-Day only. T.R. Cupak has Alexa Loved (Alexa Series Book 2) available for #FREE today ONLY! Will Alexa find her HEA? And with who? Are you #TeamDevin OR #TeamEthan? This is one #lovetriangle you'll definitely want to get wrapped up in!